Spending Christmas in Whistler - Whistler Real Estate Ltd. Spending the holidays in Whistler is as close as you can come to the perfect destination! There’s snow, lights, celebrations, and even Santa! In Whistler you will find something for the entire family to enjoy, whether you want to enjoy the slopes, revel in the beauty of the mountains and the Village, or enjoy the festivities with young children. One thing is for sure, if you’re in Whistler in December then you are guaranteed snow! December sees some of the biggest snowfalls of the year, coating the valley in a thick, white, festive blanket. Not only is the weather festive, but it makes for some incredible skiing! What better way to spend Christmas morning than chasing powder! Throughout the Christmas season the Olympic Plaza is a hive of activity. Family Après takes place every Monday and Wednesday with free entertainment and activities. You will also have the opportunity to skate with Santa on the ice rink! 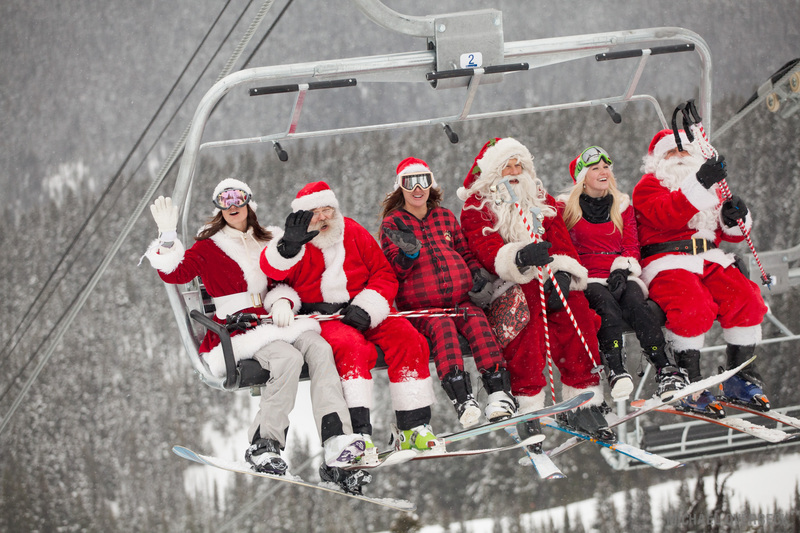 If that’s not enough Santa for you, every year Whistler Blackcomb hosts a Santa day where you can dress up as Santa or Mrs Claus, with the first 100 getting to ski for free! There are tons of festive activities throughout the holiday season. Enjoy a trip around the Village by Sleigh, courtesy of Blackcomb Sleigh Rides, and enjoy a hot chocolate in a cabin at the end. Still not in the spirit of the season? Every year the Westin hosts a Christmas Eve carol service hosted by the Whistler Children’s Chorus and Whistler Singers. If that wasn’t enough, take in the Holiday Experience at the Whistler Conference Centre, as it gets transformed into a kids fun zone with games, and of course Santa. Throughout the entire month there are tons of events taking place in Whistler. Experience everything from Fairs to Markets, Holiday Crafternoons, Winter Solstice Celebrations, and of course the famous Fire and Ice Show. Find out more about every event happening over the holidays HERE.